The Galway Summer Festival gets underway this evening and as always there are plenty of tricky handicaps to unpick and value to be had. We’ll be picking out our best bets for each of the seven days of spectacular racing as the UK and Ireland’s top trainers go head-to-head. Legendary trainer Dermot Weld may well go on to win an astonishing 28th Top Trainer title at this year’s Galway Festival but the King of Ballybrit is likely to have to settle for second-place in this contest. 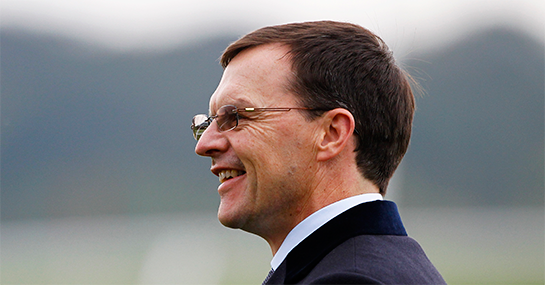 Ballydoyle’s own kingpin, Aidan O’Brien, trails his rival 6-2 in the last eight of these renewals. However, in promising juvenile JAMAICA O’Brien looks to have the edge here. The son of Galileo finished third on debut at the Curragh, four places ahead of Weld’s Postulation and looks a good bet to uphold that form. Meanwhile, Vocaliser was another who put on a good show on his maiden outing with the Jim Bolger-trained charge expected to come on for that run. Barry Geraghty won this last year aboard Aladdins Cave and is strongly fancied to repeat the trick on this occasion with ARTFUL ARTIST his chosen mount. Two wins on the Flat this summer can be followed-up with success over timber although recent Downpatrick winner Swantykay will be a threat. Roman Numeral is another chance in form after securing a quick-fire double over the minimum trip in April but a rise in the weights is a concern. Given that no favourite has won this renewal in the past 10 years we thought we’d take a look at a tasty outsider in today’s feature race. Therefore, MARCHESE MARCONI is our pick with Sarah O’Brien in the saddle for dad Aidan. The game five-year-old faces no penalty for his gutsy 2m success at Limerick last time out and will be one to watch out for at an attractive price. Dermot Weld has won four of the last seven of these contests and fields stable pick Pay Day Kitten, however a poor performance at Leopardstown last time out might dampen some enthusiasm. Willie Mullins’ Digeanta won his first four races before coming unstuck however this track and trip could see a return to the winners’ enclosure.